The purpose of this dissertation is to introduce a general reading audience to the major themes found in the fiction of Richard Powers with an emphasis on his use of science. For Powers, science is something more than the accumulation of technical data and the proliferation of theories developed to explain physical phenomena. It is an evolving body of knowledge which has important insights to contribute into the conditions which ground human experience The close and often detailed discussions of contemporary issues in science which Powers incorporates into his fiction indicate the extent to which he sees science as an inseparable component in any attempt to understand the complexities of human experience. The common ground Powers uses to link the interests of science and those of fiction into a balanced, if not always harmonious, pursuit of truth is wonder. The limitations placed on science during this century do not undermine the ability of science to influence what we can know. Nor do these limitations diminish the ability of science to inspire wonder. Quite the opposite. For Powers the true wonder of the human intellect rests in our remarkable ability to balance observation and interpretation. What he discovers again and again in his fiction is that science, like literature, is a product of the human imagination, a way to mediate between the world and our perceptions of it. The recognition that science is a cultural practice--a body of knowledge thoroughly imbued with the practices and prejudices of its historical surroundings--is a necessary first step in mending the rift separating science and literature, head and heart. The greatest insight of twentieth century science may just be the recognition that there are other ways to access the truth. Richard Powers skillful weaving of science and art is a testament that literature offers a unique vantage point from which we might learn something of value about ourselves and the world we inhabit. Anna Copeland Wheatley has extensive experience as an entrepreneur, journalist, and teacher. She has worked closely with the Initiative for Life Science Entrepreneurship at the University of Alabama in Birmingham to create classes and programs for scientists across the campus. She also developed, produced, and wrote a newsletter for the Berkley Center of Entrepreneurship, NYU Stern School of Business, called Innovation Review. While most of her teaching is related to communications, Ms. Wheatley taught a class in entrepreneurship for Columbia University's program in executive IT management. Ms. Wheatley co founded and served as editor in chief of AlleyCat News, a monthly publication that covered finance and technology in the New York tri-state region from 1996 to 2001. She has a Ph.D. in English from University of North Carolina at Greensboro. 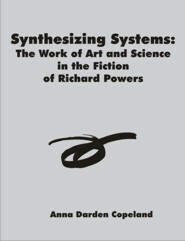 Her dissertation, The Art and Science in the Fiction of Richard Powers, examined the history and philosophy of science for a non-scientific audience. While working on her dissertation, she served as a senior editor for OMNI Magazine, where she covered a wide range of scientific fields, including physics, biology, astronomy, chemistry, as well as scientific ethics and education. Prior to launching AlleyCat News, Ms. Wheatley was a research consultant for The Digital Estate: Strategies for Competing, Surviving, and Thriving in an INTERNETworked World by Chuck Martin. She was a regular guest on CNNfn's “The N.E.W. Show” and has covered venture capital and technology for such publications as Federal Reserve of Atlanta’s Economic Review, Newsweek and Working Woman. She served as vice chairman of technology for the nonprofit Exploring program, an organization dedicated to giving high-school students hands-on experience in business. She is a frequent speaker and moderator of industry panels on topics including venture capital finance, the global economy, scientific innovation, and entrepreneurship.